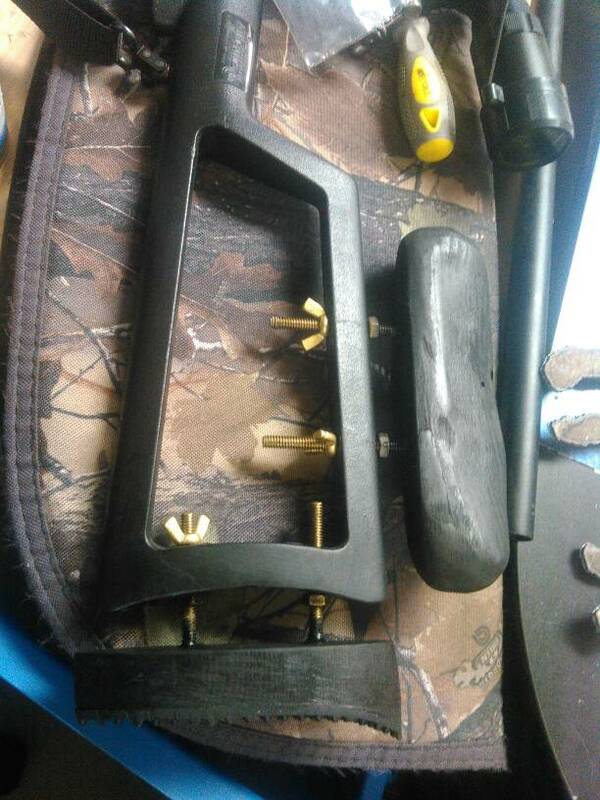 Post subject: What Did You Do To Your Airgun Today? I've started this kind of thread on other forums and its a great spot for a quick post, or something simple if you dont feel like a big write up, or a few pics, etc etc. This thread may take off, or die, who knows, but I've seen some that have grown to thousands of pages and make great and entertaining reading. Today I started a complete disassembly of a QB57. Very simple task actually, although I'm not finished yet. I di not bother with pictures as its not very interesting, but it is 75% apart now. I have a doner gun on the way and the project is to get 800fps from a gas ram in .22 after beefing up the cocking lever, modding the piston, etc. I can already see that the problem is going to be the compression chamber volume. Also purchased a CZ75 Duty and Walther CP99 from a new member. After speaking with him via email, I was willing to take the fairly small risk. So, not much for me today, what about you? Post subject: Re: What Did You Do To Your Airgun Today? I thought about them very fondly, and wondered how they are doing all cozy locked up in their cabinet. Maybe some day soon I'll go have a look and make sure they haven't reproduced in there, but I'm pretty sure they don't reproduce when I don't play with them... which is maybe why I don't. Got this to let them know I'm watching! Swapped out high power spring and piston for low in my TX200, moving indoors for the winter. Got my Maximus in, Checked it over to make sure it has all the pieces. Also just pumped it up to 2K to see if it will leak. Then shooting it. Still cleaning powder burners from shooting out to 500 meters yesterday - still have the .300 mag and .375/06IMP to clean. Got the .50/95 Winchester M1876 and Marlin 1895 .45/70 cleaned up last night. Once the small .30 and .375 rifles are cleaned, I'll get to work on the brass. Later, I hope to do some more shooting with the Talon .177 CO2 - indoors here in the basement. Installed the "Tactical bolt knob retention band" on the Maximus. or also known as, wifes hair elastic. Why did I spend a few dollars on this the cheapest of springers? Cause it's fun to shoot! And it's back on sale. Bought one last year for $29 but it shoots a bit off to the side. Meant to try and bend the barrel for kicks but never got around to it (it lacks windage adjustment). Since these are back on sale http://www.princessauto.com/en/detail/b ... -p8518425e I picked another one to try out. If it shoots straight, will return the old one. If it doesn't shoot straight, back to PA it goes. Who knew the cheapest of guns could be so much fun? Shoots fine with no twang and has a good punch (bet these are over 500fps but don't tell anyone). I am also a sucker for these types of things. Yes, I know...EVERYTHING on them needs work, from trigger to incorrectly machined dovetails, but so what? I have more than my fair share of guns that you dont get much change from a grand, but I cannot buy those on a whim, or toss them in a dumpster without a second thought if they dont work out. 79 bucks and I'm also a sucker for under barrel levers. Added some pellets to make the 99 buck free shipping!!! Theres been a few posts on that camouflage.ca website lately so for a hundred bucks lets give them a try. Some of their prices, on replica's for example are way out to lunch, some arent bad.